Quote Reply Topic: Amsoil has landed at Opies! 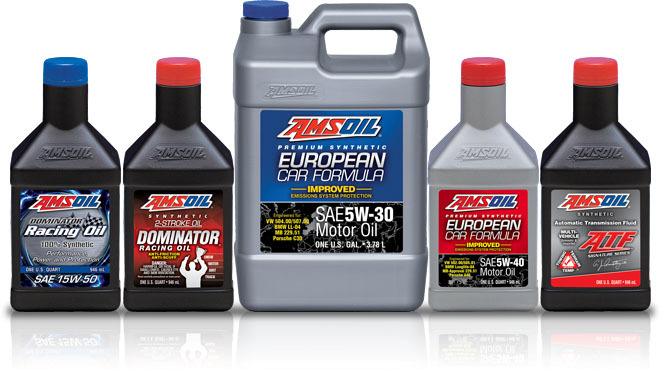 Opie Oils are pleased to announce that we are now stocking a considerable range of Amsoil Synthetic Oil products. Whether you're looking to service your daily driver with a top quality lubricant, or taking your modified vehicle on track, and need something to offer extremely high levels of protection, then there is an Amsoil product for you! For those of you that are new to Amsoil products, they are a brand with a rich history in motorsports, and a huge name over in the States. Sponsoring massive American events such as the Grand National Cross Country, the official oil in the AMA Supercross Championship and sponsor for the International Hot Rod Association, you can see why they're trusted time and time again by motoring enthusiasts accross the world. Amsoil was founded by Albert J. Amatuzio, a former jet fighter pilot who had conducted research on synthetic engine oils in the early 1960s. After several years of in depth study, Amsoil then formulated synthetic oils for other applications, including specialised vehicles and severe operating conditions. The breakthrough came in 1972, when they developed the worlds first fully synthetic motor oil to meet API service requirements - you can now see why they are so popular in the world of race, rally and track driving, as they were designed from the ground up to offer outstanding levels of protection, even under the harshest conditions. Simply click HERE to find everything that we stock from Amsoil so far. Amsoil products are typically very difficult to get hold of due to the fact that they are imported from the States. However, Opies will be stocking everything that we can get our hands on, so just let us know if there's anything specific that you need that isn't listed. All of these results are based on independent testing of the Amsoil Signature Series 5w-30. This range of Amsoil products is due to increase as time goes by, so we'll be sure to keep you guys in the loop as more products are added. You can keep an eye on our current offers page HERE, where you will find up to date discounts, deals and clearance products. That's it from us today, but as always if you require any oil advice then feel free to ask. You can call us on 01209 202944 Monday - Friday 8.30am - 5.30pm, send us an email to sales@opieoils.co.uk or just ask us here and we will be happy to help.